While standard packaging may seem quick, convenient and budget-friendly, custom product packaging could actually prove to be a vital investment for your business. With the increased demand for packaging in 2018 with the rise of e-commerce as well as the number of start-ups, many businesses have a limited budget, especially when it comes to packaging. However, 2018 is the perfect time to invest in custom product packaging. While customised packaging may be a higher initial outlay, there are plenty of reasons to invest in custom product packaging, especially as it may well save you money in the long run. Why should your business invest in custom product packaging? Wrongly sized packaging could cause products to break in transit. This will not only be costly for your business, but it will create a complicated reverse logistics process as well as giving customers a poor service experience. Having the right sized packaging for your products will limit the number of breakages, lower the cost of returns and damage. However, most importantly, it will ensure your customers are happy and reduce the risk of a negative experience. Make sure to calculate the number of returns before and after you change packaging so you can see whether you have a valuable return on investment or whether you need to make further improvements. With the rise of the internet, every company seems to compete in a global marketplace. This means there is even more competition to outshine. To do this, you need to show your business to be different in as many ways as possible. One of these ways is to think outside of the box when it comes to boxing up your products. Custom product packaging allows you to achieve a distinctive design that sets you apart from the rest of your competitors. It may be worthwhile conducting market research for your competitors to find out how they package items and whether you can design a better packaging system that will help to differentiate your brand for all of the right reasons. Businesses should consider user experience in every aspect of the sales journey. From browsing online to receiving the product, how the user interacts with your brand is critical for the overall success of the business. You should think about the user experience when it comes to packaging too. For example, is the packaging discreet or bold to suit the customer? Is it safe but also easy to open? Does the packaging have any secondary use or is it eco-friendly? If you want users to become brand ambassadors and promote your business, then there has never been a better time to invest in custom product packaging to meet customer needs. Use your customer demographics wisely to make sure you create custom packaging that works for them. In 2018, there is a growing concern for the environment with more and more people taking a stand against waste and unnecessary product packaging. Before your business becomes a social media sensation for using too much packaging for your products, start to create custom product packaging that reduces waste and is kinder to the planet. 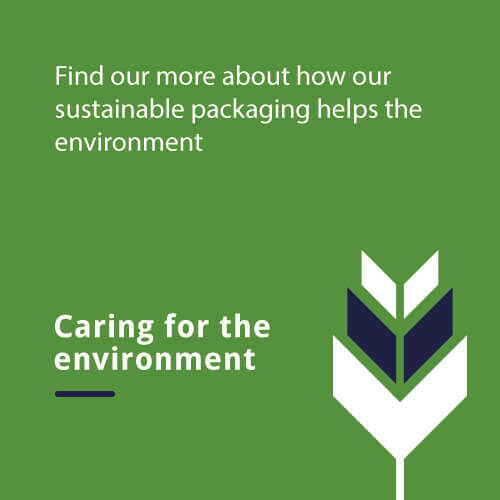 Demand is growing for environmentally friendly packaging. As well as eliminating any excess waste, also consider the materials you use and whether your packaging can be reused or recycled. Reducing waste packaging will not only impress your customers, but it may also save you money too as you will no longer need to purchase filler material and you will only use the material you need. When a customer receives a package, it is like a gift. People love to unbox items and the moment should be special for consumers. There is even a rise in ‘unboxing videos’ on YouTube. With your custom product packaging, you have the chance to make an excellent and memorable first impression for your customers. Custom packaging will show your customer exactly what your brand is about. An unusual packaging design will confirm that your brand is innovative, while eco-friendly packaging will demonstrate your principles as a business. Whatever you want your brand to portray, custom product packaging is an excellent way to get your message across. The experience you create will turn first-time buyers into repeat purchased and repeat buyers into lifelong, loyal customers. While your packaging may not seem significant, it could be the difference between a client choosing you over a competitor.